My journey began on Liardet St, Port Melbourne. The bus stop stands on the former Sandridge Lagoon. With the 606 only running every 40 minutes, I was unduly early for the timetabled bus arrival time. 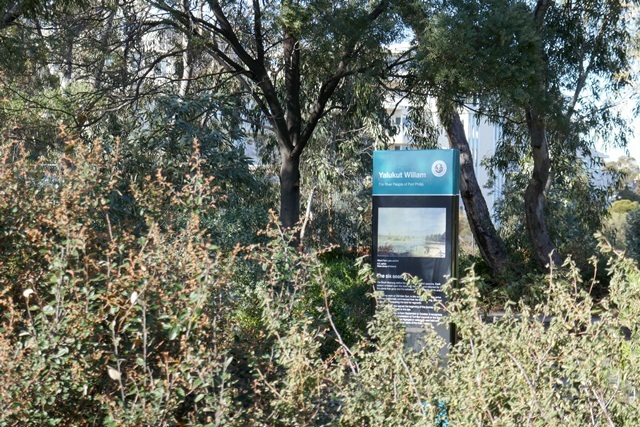 Emerging from among the plants nearby, an interpretation panel explains that it is now Pareit or true spring, one of the six seasons known by the Yaluk-ut Weelam clan of the Boonwurrung. It ‘recognises the closeness of the constellation of Turt-Bul Liwurruk, known as the seven sisters’. It reminds me that this and every journey begins and ends on Aboriginal land and to proceed respectfully in that knowledge. Ten years ago, there were only 8 services on the 606 a day – 4 in the morning, and 4 in the late afternoon. The service was hanging on by a thread, a historical artefact of Fishermans Bend in its heyday. 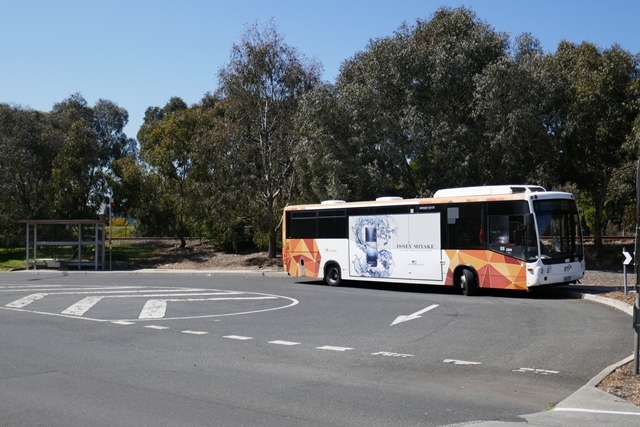 In 2011 the service was boosted as part of a wider bus review and to make it easier for students travelling to Elwood in the hiatus between one Albert Park College closing and the new one opening. It’s past the school rush when I set off but there are still a fair few passengers heading for Fishermans Bend. 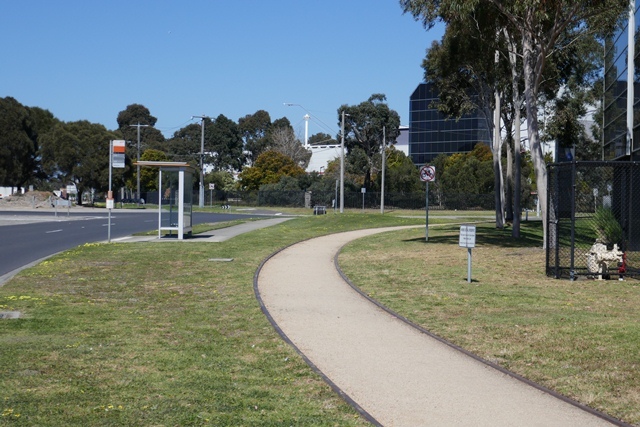 Bypass busy Bay Street into Bridge Street and then left onto Williamstown Road with Bank houses to the left, and J L Murphy Reserve to the right, the 12 ha open space centrepiece of the new Wirraway Precinct of Fishermans Bend. Murphys, as locals know it, was named after J.L. Murphy who represented Port Melbourne in the Legislative Assembly from 1917 to 1942. Murphy tirelessly advocated for Fishermans Bend to be opened up for workers’ housing. He’s at the pub, at the Town Hall, in the Assembly, forcefully putting the arguments for building more affordable housing. An ascetic looking man, he worried about the effect of poor housing on people’s moral and physical health. ‘The true remedy is to build sufficient houses for the people. We are not getting houses built in numbers sufficient to even meet the requirement of our young people who are marrying. …. The pressure of advocacy and weight of evidence led to land at Fishermans Bend being released to the State Savings Bank to build houses and make available affordable loans to purchase them. 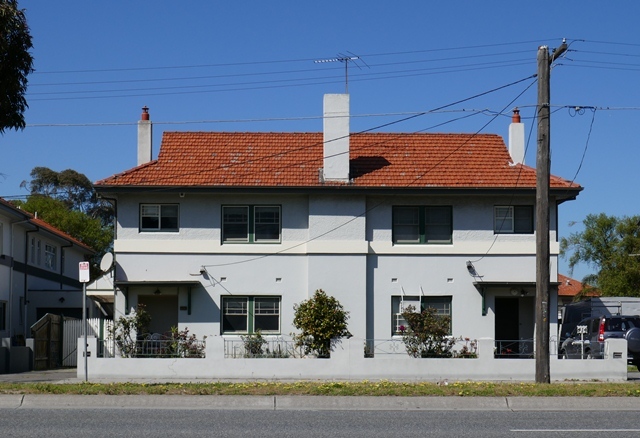 The Bank houses were built over twenty years from 1928 onwards, beginning near the (now) Port Melbourne Primary School and moving progressively westwards as more land was made available. Phillip Salmon was a Port Melbourne Councillor and Mayor, later Member of the Legislative Assembly between 1892 and 1894 He opposed a push to amalgamate with Melbourne (a recurring theme in Port Melbourne’s history) using the Standard newspaper as a vehicle for his views. He also argued for the borough of Sandridge to become a town. Comfortable and safe in the bus over the sliver of the bridge over the freeway, and descend to see the Salmon St facing part of the General Motors Holden site. The site was chosen because of its location on the Yarra River where materials came in, and completed cars were shipped out, as illustrated so well in this Charles Daniel Pratt photograph. 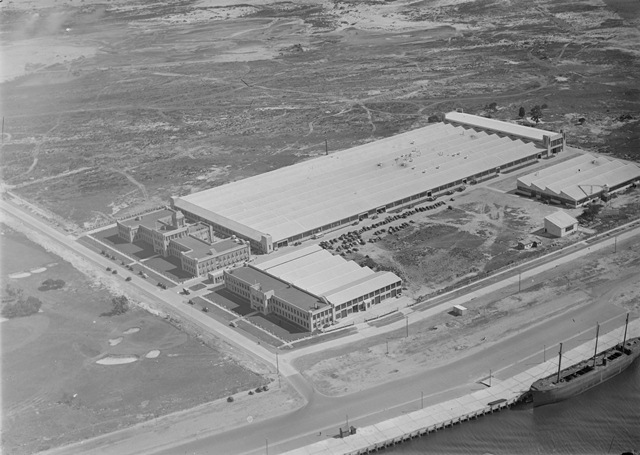 When GMH ceased vehicle manufacturing, the Andrews government bought the 37 hectare site. The intention is to use the strategic site as a catalyst for promoting advanced design and engineering in Fishermans Bend. Following this cue, the University of Melbourne purchased seven hectares of the site for an engineering campus in December 2017. The Webb Dock rail reservation remains in place while the conundrum of how to connect the expanding, intensifying Port at Webb Dock with the distribution network is worked through. It’s just me and the driver by the time we get to the terminus. It feels like the end of the line, but there’s a lot going on around this keyhole terminus. The CFMEU’s Education and Training unit is based here. Among other courses, it offers training in high risk occupations such as rigging. 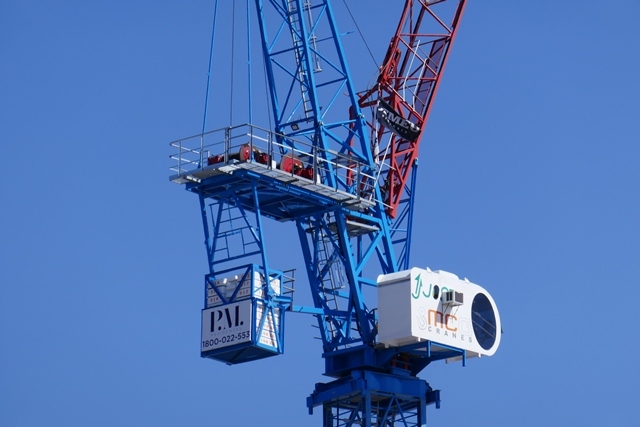 Can you spot the CFMEU flag flying on the three cranes operating on the P.M. site, one of the Fishermans Bend developments under construction nearby. Wharf Road heads straight towards the carpark entrance to Boeing. 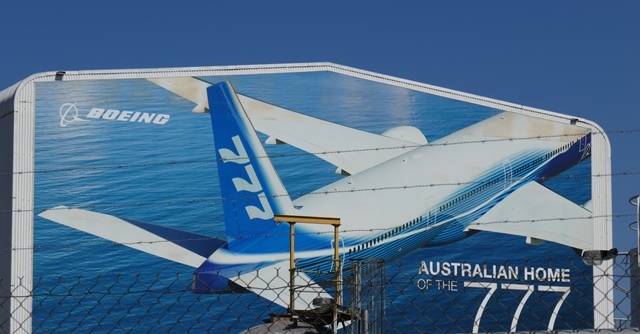 Here Boeing designs, tests, certifies and produces world class advanced structures including part of the trailing edge of the Boeing 787 Dreamliner. Boeing uses a unique carbon fibre production technology developed in Victoria called resin infusion. The history and practice of innovation is being actively cultivated in the Employment Precinct of Fishermans Bend. And finally, there’s this secret door entrance to Westgate Park. Over the Railway line and into the Park. No, the lake has not been pink since June, the helpful notice anticipates the question. You’re invited to explore true spring in this revegetated urban bushland – just a short bus ride away on the 606. Rigging is a process used to secure materials to be moved by cranes, hoists or other lifting equipment. Where is this bus route?